I have written couple of articles regarding charter party contracts and charter party bills of lading so far on my website such as what is a charter party bill of lading?, is it possible to submit a charter party bill of lading instead of a marine bill of lading under a letter of credit payment? and who can sign a charter party bill of lading as per UCP 600? and time charter parties. Today I would like to explain voyage charter party contracts. 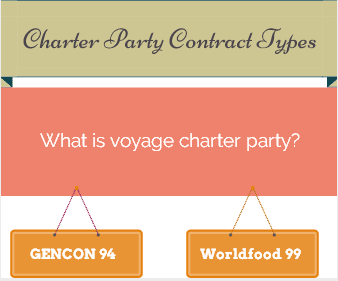 Voyage charter party is a type of charter party contract, which is used in maritime industry when chartering bulk cargo vessels for carriage of specific cargo within a pre-determined route. Other charter party contract types are known as bareboat charter and time charter. I have written couple of articles regarding charter party bills of lading so far on my website such as What is a charter party bill of lading?, Is it possible to submit a charter party bill of lading instead of a marine bill of lading under a letter of credit payment? and Who can sign a charter party bill of lading as per UCP 600?. 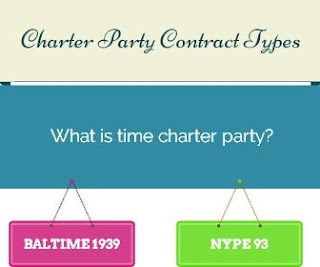 Today I would like to explain time charter party contracts. Time charter party is a type of charter party contract, which is used in maritime industry when chartering bulk cargo vessels for a specific period of time. Other charter party contract types are known as bareboat charter and voyage charter. Certificate of Origin (CO) is a shipping document, which is used in international trade, certifying that goods in a particular export shipment are wholly obtained, produced, manufactured or processed in a certain country. When I was explaining certificates of origin first time on this website, I have indicated that there are two main types of certificates of origin available for use in international trade transactions. Apart form above mentioned types of certificates of origin, there are some sort of documents used in international trade, especially where export and import transactions are taken place between countries that have signed free trade agreements. These form of documents are known as "movement certificates". Today I would like to explain "EUR1" document which is a type of movement certificate. Independent inspection can be defined as a practice of employing private companies to check shipment details such as price, quantity and quality of goods ordered overseas. Third party inspection services can be grouped under two main categories. Previous Shipment Inspections, which are performed before the goods are shipped from the exporter's factory and Post Shipment Inspections, which are performed after the goods are shipped from the exporter's factory. Today I would like to explain Pre-Production Inspection (PPI) in detail. After reading this article you should understand fundamental aspects of Pre-Production Inspection (PPI). Third party inspection in international trade can be defined as activities which are relating to the verification of the quality, the quantity, the price, including currency exchange rate and financial terms, and/or the customs classification of goods to be exported to the territory of the importer country. We have written couple of articles related to third party inspection services so far on our website. We have covered pre-shipment inspection, during production inspection and container loading supervision. 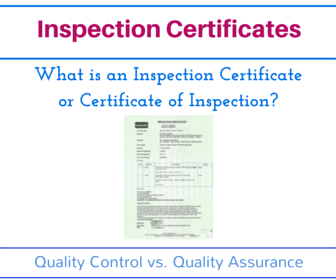 We have also explained the differences between each inspection types from one another. Today we would like to clarify another important inspection type that is also used in international trade transactions: Post-shipment inspection. Some sort of larger quantity orders have to be processed with continuous production lines. Suppose that as an exporter you have received an huge order from Libya consists of 6,000mtons of refined sunflower oil packed in 1 Lt pet jars. Assume that your factory can process 150mtons of refined sunflower oil per day in requested package type. You need 40 working days to complete the production of the order. Continuous production requires day to day quality control checks, as it is possible to see deviations from the product specifications from one batch to another. The only way to eliminate quality fluctuations under continuous production is to monitor the process daily by a qualified personnel. In such a situation, importer company has two alternatives, either sending one or two engineers to the exporting company within their organization to follow up the production, or else sign a During Production Inspection (DUPPO) agreement with one of the independent audit companies. Today I would like to explain the differences between During Production Inspection (DUPRO) and Pre-Shipment Inspection (PSI). The practice of employing independent companies to control and certify shipment details such as price, quantity and quality of goods ordered overseas, before the goods are dispatched from the seller's promises, is known as 3rd party inspection. 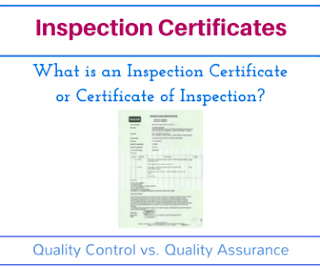 These kinds of inspection services are very beneficial to importers and exporters for various reasons. It is also supported by WTO (World Trade Organization) because 3rd party inspection services are also protect importing counties' interests by prevention of capital flight and commercial fraud as well as customs duty evasion. Pre-shipment inspection and container loading supervision are types of surveillance audits that are frequently used in international trade transactions. both of them are conducted by independent audit companies in order to prevent shipment of poor quality goods. both of them are conducted at the exporter's premises. 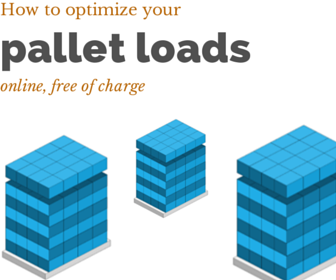 Apart from above mentioned familiarities, there are certain core differences exist between pre-shipment inspection and container loading supervision that I would like to explain them in detail today's post. On my previous article I have explained pre-shipment inspection in detail, by replying the fundamental questions in regards to pre-shipment inspection. When should the pre-shipment inspection be conducted? What are the benefits of a pre-shipment inspection? How much does it cost to have a pre-shipment inspection? How does a pre-shipment inspection work? But one of the main questions is left unanswered. How can we as an importer make sure that the inspected goods will be shipped to us? How can we as an importer make sure that the loading process is fine and the package as per conditions stated on the sales contract? One of the correct answer of above questions is Container Loading Supervision (CLS) and today I would like to explain this inspection type in detail. In international trade transactions, one of the biggest challenge for the importers is to make sure that the quality of the goods shipped are in conformity with the qualifications stated on the sales contract . But none of these precautions may suffice to ascertain the quality of the goods, because of the fact that most of the exporters do not accept to work with an open account payment terms. They demand letter of credit or bank guarantee from the importers. Additionally, supplier audit may not be effective method for a particular shipment, as it is possible to receive poor quality goods even from a reputable supplier for various reasons. Pre-shipment inspection (PSI) is a kind security tool, which is demanded either by the importer companies or some governments, that verifies whether the goods dispatched are in conformity with buyer's specifications or not. Today I would like to explain the function of a pre-shipment inspection in international trade. Japan is one of the biggest exporting and importing nation. Even small and medium size companies have strong export or import connections with Japanese corporations. Everyday great deal of international cargo enters into and dispatches from Japan under various modes of transport. All of these transportation activities are processed by Japanese and international logistics companies, mostly by freight forwarders. May be you are about to make your first export to Japan and you need to have a very competitive freight quotation from one of the most reliable freight forwarder's in Japan. May be you are planning to ship a special cargo to Japan and you are looking for an experienced special project cargo service provider. Whatever your requirements would be if you are looking for a reliable freight forwarder or non-vessel operating common carriers (NVOCC) in Japan, then you are at the correct place. You can find reliable, top performing freight forwarders located in Japan on this page. I have added Fiata member freight forwarders, which are located in Japan on my directory. Do you engage in a business that has some sort of connection exporting or importing goods with Qatar? May be you are about to make your first export to Qatar and you need to have a very competitive freight quotation from one of the most reliable freight forwarder's in Qatar. May be you are planning to ship a special cargo to Qatar and you are looking for an experienced special project cargo service provider. Whatever your requirements would be if you are looking for a reliable freight forwarder or non-vessel operating common carriers (NVOCC) in Qatar, then you are at the correct place. You can find reliable, top performing freight forwarders located in Qatar on this page. I have added Fiata member freight forwarders, which are located in Qatar on my directory. All Qatars phone numbers converted from 7 digits to 8 digits in 2010, for this reason contact details that you can find on some older directories, which are not updated regularly, may not be valid anymore. Do you export to South Africa? May be you are importing goods from South Africa and you need a competitive freight quotation. May be you have to ship a special cargo which must be transported under special contract terms. Whatever your requirements would be if you are looking for a reliable freight forwarder or non-vessel operating common carriers (NVOCC) in South Africa, then you are at the correct place. You can find reliable top performing freight forwarders located in South Afirica on this page. I have added Fiata member freight forwarders, which are located in South Africa on my directory. On this page you can find a list of reliable top freight forwarders located in Cameroon. As of 2014, Hong Kong is the 7th biggest country (or region) in terms of imports and 8th biggest country (or region) in terms of exports. How could such a small region like Hong Kong reach these unbelievable international trade statistics. Perhaps the answer is very simple. Hong Kong plays a key role on China's export and imports. Hong Kong has a very sophisticated and well established logistics sector, which can handle all exports and imports of the region with ease. On this page you can find a list of reliable freight forwarders located in Hong. The list is prepared by myself manually. On this page you can find a list of reliable freight forwarders located in Croatia. The list is prepared by myself manually. Crotia is an European Union member since 2013 and can be considered as a medium size south-eastern European country with its 4,284,889 population. Bosnia and Herzegovina, Hungary, Italy, Montenegro, Serbia and Slovenia has either land, maritime or land and maritime borders with Croatia. Bahrain is a small island country, located between Qatar and Saudi Arabia. Bahrain is an oil exporting country. Refined petroleum, raw aluminium, petroleum gas, iron ore and aluminium plating are the top 5 products that are exported by Bahrain. Bahrain depends heavily on imported goods to sustain its economic activities. Cars, iron ore, aluminium oxide, gas turbines and refined petroleum are the main product groups that are imported by Bahrain. Logistics sector, which handles exports of goods to more than 90 countries and imports of products from 94 countries as of 2012, is one of the key elements of Bahrain economy. On this page you can find a list of reliable freight forwarders located in Bahrain. The list is prepared by myself manually. I have tried to check all the web addresses of the companies one-by one. Luckily I managed to find web address of each forwarder company listed on this page.